Unfortunately, 6 years on, some of you still tell me you think that buying wool is too expensive. I have a given very good examples of yarn for every budget on this website. 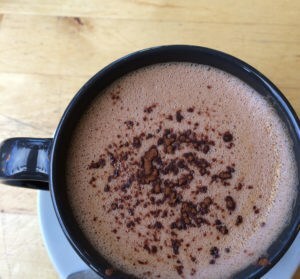 I’d point you to this post on What is your cost of making if you wish to further investigate costs of your own crafting. It is worth reminding readers that whenever you pick up a ball of yarn in store, or you see a skein of yarn online, before you baulk at the price, think about what has gone into making that skein of yarn. From the sheep, to the shearing, to the mill, to the dyeing, to you…think about the work, time, process and money that’s gone into that yarn and all the skilled hands it has gone through to get to you. And yes, it is true, there are some larger yarn price tags out there that are outside what many of us have to spend on yarn, but I am also aware that a lot of knitters use acrylic or wool blends simply to keep down on the cost of their obsession hobby. There is no reason to avoid buying British wool – even if you are on the strictest yarn budget. 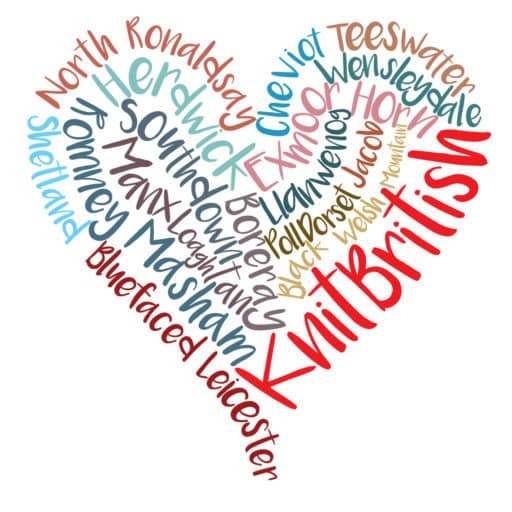 During my research into suppliers and stockists of UK wool I have found a plethora of affordable UK fibres which, I am positive, your pockets and stashes will appreciate…here are just a few. 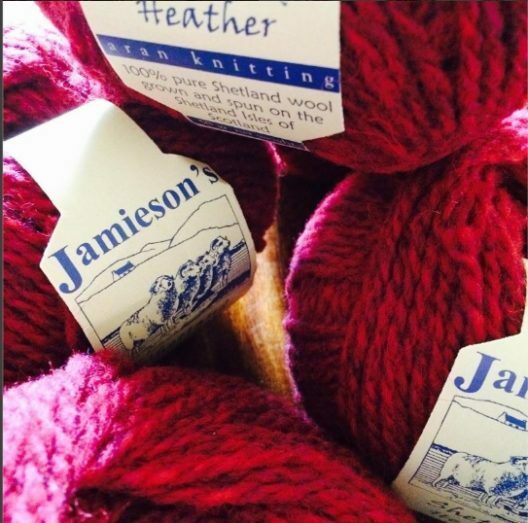 Firstly, (I wouldn’t be allowed to call myself a Shetlander or a knitter if I didn’t remind you about…) Jamieson & Smith. 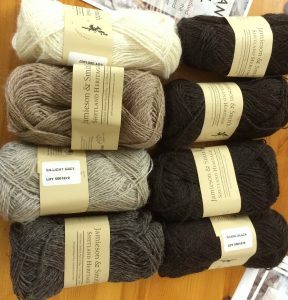 Their Shetland jumper weight (4ply) is available from £2.85 (25g/125yards) in a wealth of dyed and natural colours. This is a lovely yarn for those who love a really “sheepy” wool. Perfect for Fair Isle, awesome for shawls and other accessories too. When you visit the website, or are lucky enough to visit the shop, it is the perfect sweetie shop for colour lovers. 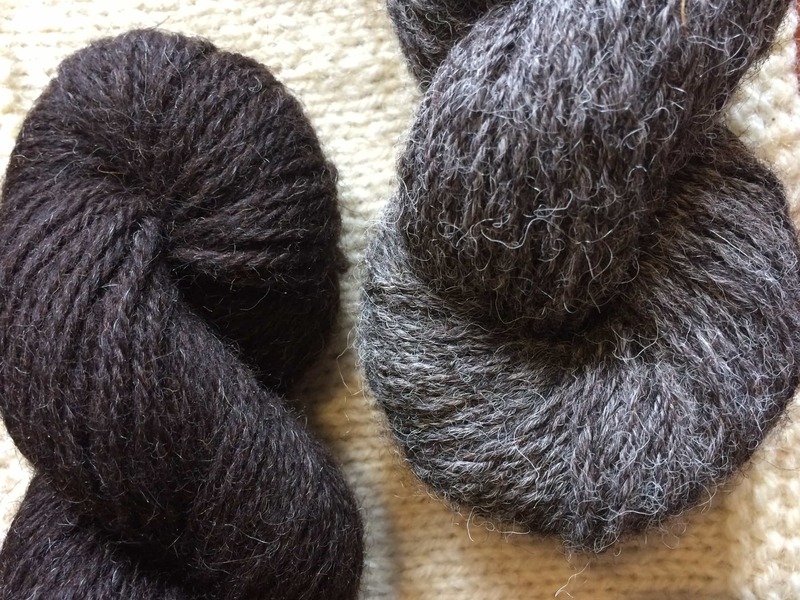 Their Shetland Hertiage range was created to speak of the hand-dyed hand-spun yarns used in Shetland’s pasrt It is a worsted spun yarn, incredibly soft and is available in jumper weight and aran for £3.20 and £4.00 respectively. I am currently making a hap in their natural heritage range. Last year Baa Ram Ewe added a new yarn to their range, which also includes the amazing Titus and Dovestone yarns. Pip Colourwork cost £3.20 (25g / 126 yards) and is described as wonderful for colourwork. It is described as British wool and it is a blend, which is known as 56s English, a blend of mixed fleeces which create a standard ecru yarn with a lovely handle. 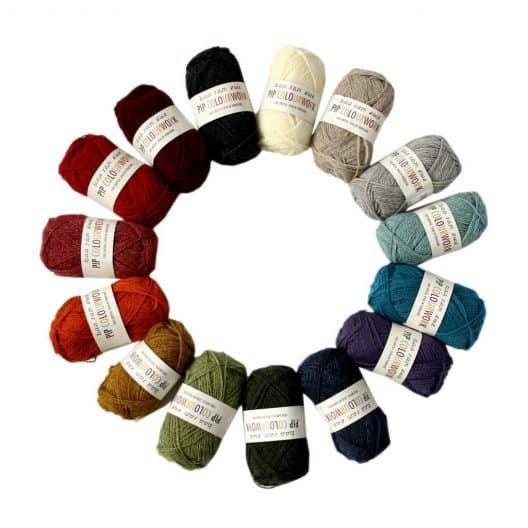 The range of colours are excellent and I’m very pleased to see this great UK LYS add a lower priced yarn to their range. 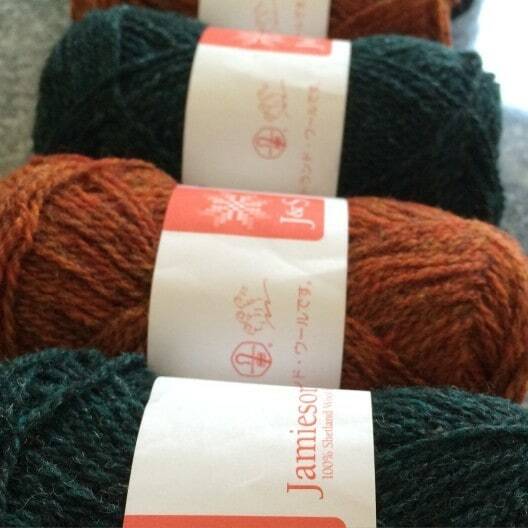 Another British mill close to my heart is Jamieson’s of Shetland. (We are over getting Jamieson’s of Shetland and Jamieson and Smith confused now, yes? Two very different companies!) I love their Shetland Heather Aran, £4.50 for 50g / 92m, but they also have other yarns in their range which come under £5 – Ultra (lace), Spindrift (4ply) and Double Knitting are all, in fact, under £4! What a gem Sheepfold is for local British wool. You can search for wool by natural or coloured yarn and not only can you see which breed the wool comes from but, where possible, the website can tell you where the flock is from, the status of the breed (e.g. rare, endangered, etc) and where it was spun. What an invaluable resource for the discerning knitter! Prices for natural wool vary according to breed, but start at £2.25! Well, I hope that has been of some inspiration and has illustrated that buying wool doesn’t have to be bank-breaking. I think even if you were going to be knitting a large project these wool yarns would still be easier on the pocket. Next time some more lovely UK wool for under £10! | Information Images of West Yorkshire Spinners, Blacker Yarns, Wendy and Sheepfold are copyright to each. Other images are my own. Information correct at time of posting (2013, 2015, 2016, 2018,2019) These views are 100% my own. 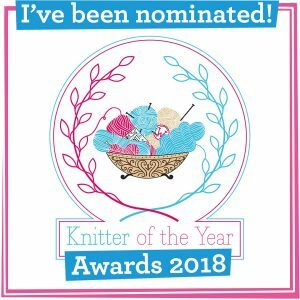 I have not been paid to feature yarns/companies here. I have found Dingle DK from woolyknit.com nicely priced and knitting up beautifully. Diggle not Dingle! 🙂 (she said having grown up there). I agree, brilliant yarn. have you tried the BFL too? Many thanks Theresa, I am considering updating these for 2014 so thanks for the tip!